Get customized software marketing help with our new membership program: sign up for as little or as much help as you need. Check it out at the link above. If you’re moving to an enterprise SaaS model, then how to update your sales compensation plan might be on your mind. In that case, this recent blog post by Joel York at Chaotic Flow on “SaaS Sales Compensation Made Easy” may come in handy. Just remember that for SaaS you really need to focus on keeping customer acquisition costs (including costly sales comp) as low as possible – only use direct sales force when you really need it. You can check out this recent survey by Go-to-Market Strategies on what worked & what didn’t in online marketing in 2009, in their report “Online Marketing Trends: What Worked in 2009 and What to Expect in 2010”. They found the best bets were email marketing and optimized websites, followed by social media tools. I just read the case study on ISV eMASON on SoftwareCEO this week. It’s an interesting example of a software company that managed to triple their business in 2009, despite the slow economy and turmoil in their target market of financial services. Basically, with a singular focus on quality and solving the customer pain point to the best ability, flexibility and easy customization, being really clear on their unique value, and making it as comprehensive as possible within the bounds of the single point of pain the application is solving. Who is the Audience for your Marketing Messages? For marketing messages to be effective, you need to really think about who it is that you are speaking to. Too many marketers only think about a single audience for their message: the end customer. The end customer may be your primary audience, but they are not the only one. other key stakeholders that your end customer looks to for guidance or approval on their buying decision (this is especially important for B2B applications). Your end customer will be influenced not only by your marketing messages directly targeted at them, but also by these other stakeholders and influencers. The more consistent messages they receive from different channels, the more likely they are to make a positive buying decision in your favor. Bottom line: when crafting your marketing messages and marketing plan, don’t forget to build target messaging and budget marketing activities for all audiences that are important in influencing your customer’s purchase decision. It’s December already… a good time to be thinking about your software marketing approach for 2010. Hopefully the economy will be picking up, customers will be looking for options, and you need to make sure your product is top-of-mind when they get into a buying mood. At Software-Marketing-Advisor.com, we have just released our detailed, professional software marketing plan template package. It gives you all the pieces you need to easily put together a customized marketing strategy and plan for your software product, and we’ve even thrown in free consulting as well. You can check out the Software Marketing Plan package here. 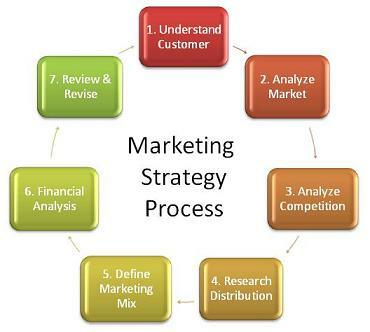 What’s More Important: Marketing Process or Marketing Plan? Too many leaders of small technology businesses think of marketing as either an afterthought (“Got the product ready… now I have to go market it!”) or a forethought (“Got to put together my marketing plan up front… then I’ll have my plan all ready to go when I launch!”). The fact is neither approach is optimal. I really think marketing must be an integral part of the product or service development process in order to be as impactful as possible. There’s just too much focus on putting together a marketing plan (whether before or after product development) as a “thing” that must be created. When in fact what’s needed is a marketing strategy process that is integrated with the product or service development process. For example, here’s a good, simple summary of the marketing strategy process that could be adopted for any technology venture. how does this tie in with your product definition and product development process? where is the tie-in with sales? how can the marketing function be as integrated as possible with the rest of the business?